According to the recently released 2016 Environmental Performance Index (EPI), around 2.4 billion people lack access to sanitation around the world, with Sub-Saharan African countries comprising the poorest performers, occupying 16 of the bottom 20 positions out of the 178 countries listed on the Index. Mauritius, Namibia and Botswana are the top three performing African countries, with South Africa in the fourth spot (ranked 81 globally). Only three nations in the bottom 20 are outside the African continent — Afghanistan, Bangladesh and Haiti.Environmental practices, resource management, manufacturing and recycling all play a key role in improving a country’s environmental impact and, despite featuring low down on the EPI list, South Africa is, nonetheless, playing a leading role in developing and refining the circular economy. The effects of a vibrant circular economy play a major role in boosting environmental sustainability, as well as the social upliftment of poorer members of a society. Speaking at the South Africa —European Union Seminar on Circular Economy in Durban in May, the Minister of Environmental Affairs, Dr Edna Molewa highlighted the fact that the circular economy “encourages companies to think about how goods can be designed, produced and marketed with reuse in mind. It is no surprise that many products are difficult to disassemble or to recycle. Product designers are not waste managers and have no strong reasons to incorporate end-of-life considerations into their products. The circular economy, therefore, requires integrating the entire product life cycle from raw material extraction to disposal (or preferably reuse and recycling).”The Minister added that such a system can be done either through intensive collaboration between companies, single ownership of the product chain or through legislation to encourage manufacturers to consider cradle-to-cradle principles when it comes to the initial design of their product. “Studies have suggested that governments should play a leading role in promoting the circular economy concept by reforming existing laws, enacting new regulations, promoting the application of new environmental technologies, and organising public education about the benefit of this concept. This is what South Africa is doing, hence the prioritisation of the four waste streams for industry waste management plans. 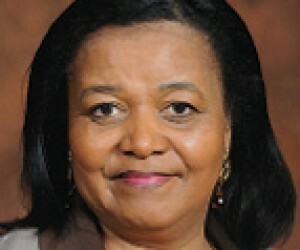 These are tyres, paper and packaging, lighting and electrical and electronic wastes,” added Dr Molewa.The champions of the circular economy in South Africa are the internationally celebrated Recycling and Economic Development Initiative of South Africa (REDISA) Waste Tyre Management Plan, a non-profit company setup by Dr Molewa’s department. Not only has the REDISA initiative helped to set in motion the creation of vital jobs and the development of key small businesses across South Africa, but they are also helping to set the standards for implementing circular economy initiatives.